Testing is complete and pressure specs are in! G2 Contender barrels are a go! We have been so impressed with this round in the G2 configuration, having such a small set up with such little recoil, adding that it can shoot past 1000 yards accurately! We are so excited that we are offering a $50 credit towards any scope base with your order. This promotion is only good for the 224 Valkyrie in G2, or Encore. If your scope base is less than the $50, the remainder will be credited towards your entire order. With all great offers this one has a deadline and its fast. This promotion is only good until the end of next week; 02/09/18 is the final day to order to get the credit. These barrels will take 4-6 weeks to produce and will come with the scope base installed. We sighted in at 100 yards and dialed 30.5 MOA for 1,001 yards. We corrected the elevation to 29.5 MOA and the groups settled in immediately. Average 1,001 yard groups were 5.5″-6″ with the best being 3.75″ (Rylon shot). We had a slight breeze from the North, which was pushing the bullets to the right 1 MOA. 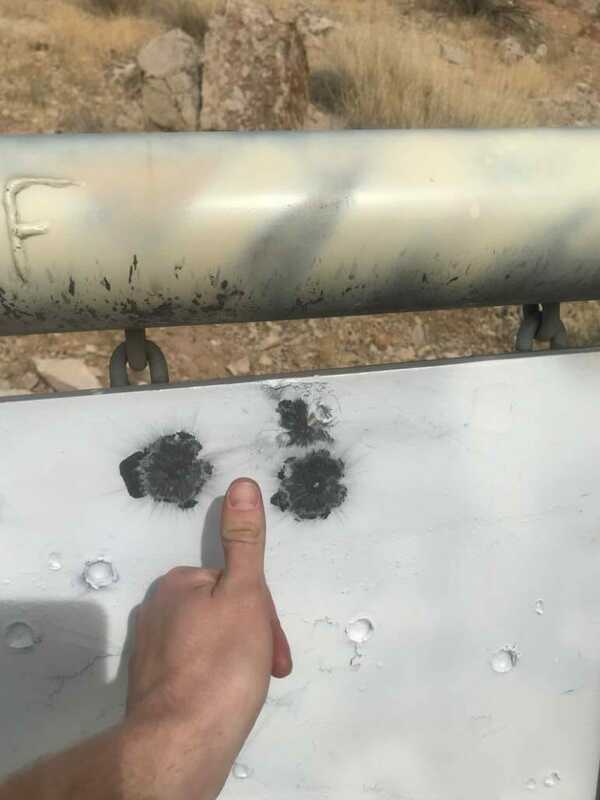 We were surprised that we could still hear the impacts that far away with such a light bullet, but there was no mistaking the impacts! Recoil? Very easy to keep the target visible with no brake, and the whole set up weighs in just under 10 lbs. The hardy Vortex hardware held strong and the HS LR tracked perfectly. We didn’t have time to shoot groups at 100, or shoot the other factory ammo that was available. We needed to just get the 1,000 yard targets up so we can show how incredible this new offering is!